2. Use the links in this paragraph, in the list below and elsewhere on our site to make your holiday purchases, not just your car related ones. A lot of the links in this list are affiliate links. That means we get a very small commission when/if you purchase something. So, if you're going to be shopping on Amazon.com this holiday season, and you use our link, it won't cost you anything else and you'll be greatly supporting the site. What better way to start off your morning than with your favorite cup of coffee in a Porsche themed mug. Designed for FLATSIXES.com by our friend and contributor, Brett Sloan, the artwork on our new coffee mug features iconic parts from Porsches across multiple generations (Big Red Brakes, 930 Steering Wheel, Boost Gauge, Fan, Shift Knob, Turbo and a Fuchs Wheel). At 15 oz. in size, this ceramic mug is generous in proportion, fits well in your hand and is dishwasher and microwave safe. We're producing these on demand so please allow at least 5 to 7 business days for delivery. Cost is $19.95 per mug. We've had our share of OBDII scan tools over the years, but this is by far my favorite. This showed up in our mail a number of months ago unexpectedly. Not quite sure what to do with it, we tossed it in the Cayenne and kind of forgot about it. Then, on a long road-trip, in the middle of nowhere, the Cayenne started to act up. We were merging back onto the highway after a fuel stop and our "Pig" just wouldn't accelerate. That's when the dreaded check-engine light came on. We pulled over to the side and spent a few minutes just trying to figure out what to do. That's when I remembered we had the Bluedriver in the center console. I downloaded the app to my iPhone, plugged in the device to the OBDII port and in a matter of seconds had the trouble code, it's most common cause and a possible solution. Fortunately for us it was a simple fix and we were able to get back on the road after only a short stop. However, we would have never known it, and most likely ended up towing our Cayenne to a local garage for a costly repair and a long delay. 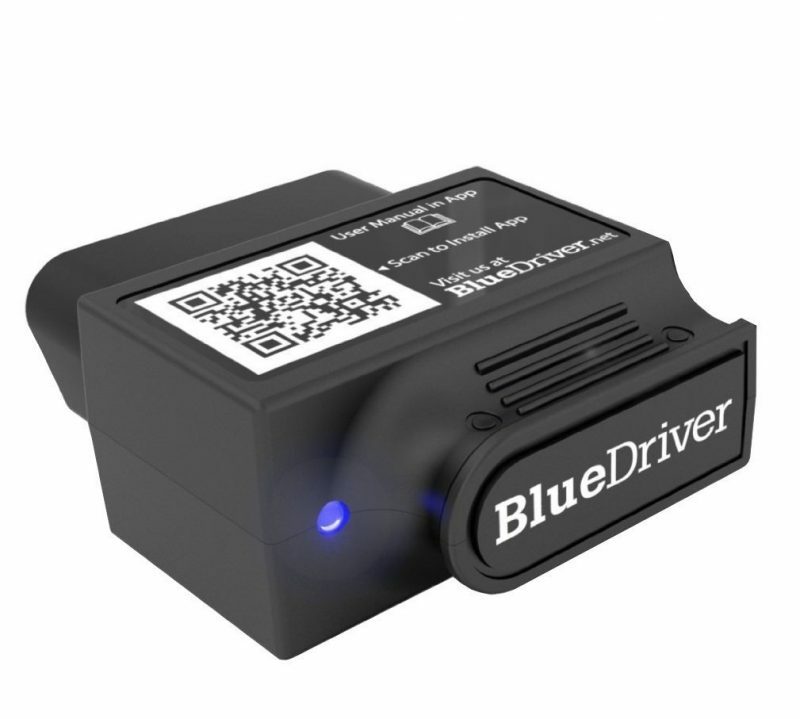 Now, we keep a BlueDriver in each of our Porsches (and other cars) that are new enough to have an OBDII reader. It's just that handy to have. They are available on Amazon for $99.95. The Casual Driving Shoes by Hunziker™ have made their long awaited return and are available now even better, Hunziker is offering FLATSIXES.com readers a 15% discount! To take advantage of the 15% discount you must order your Hunziker Shoes direct from Hunziker. Follow this link and use Promo Code: "flatsixes" at checkout. Whenever we publish our Porsche Winter Storage Guide, the Battery Tender Plus is a best-seller, and for good reason. Now it's a perennial favorite on our gift guide, too. At just $49.99 the Battery Tender Plus keeps your Porsche's battery fully charged during long-term periods of storage without the damaging effects caused by some other trickle chargers. The package includes a quick connect harness for hard to reach places (we use ours to come at the battery from underneath so we don't have to leave the front hood open). You can get yours on Amazon.com by following this link. Ok, so maybe you didn't listen and you never purchased the Battery Tender like we suggested. No problem. The DBPower Portable Car Jump Starter will get you back on the road in no time. Last year we had a different jump starter on the list. And while we still like it and use it, this new one is much more powerful (18000mAh and 600 amp peak current) and 20% less expensive (amazing what a year can do from a technology and pricing standpoint). What I like best about this unit, besides its very portable size, is the built-in LED light that can help you during a night-time breakdown by lighting up your work area or by warning oncoming traffic with its strobe feature. In addition to the LED you get two USB ports for charging phones or tablets when you're trying to save your Porsche's battery's juice, PLUS a gaggle of adapters to charge your laptop, a built in compass and an integrated LCD screen that shows remaining power. I'm of the opinion that everyone should have one of these in their trunk. After using the one we included on last year's gift guide in an emergency (our Boxster had an electrical gremlin that drained the battery while out to dinner) we now keep a portable jumper pack in each of our cars. At $79.99 it's pretty cheap insurance. If you've been looking for that final piece to complete your garage, this 6' long brushed silver Porsche garage sign just might be the thing. According to the seller, the sign is cut from 1/8" thick Dibond (the same material used on the surface of Disney's Epcot Spaceship Earth. In other words, it's durable). Finished in brushed aluminum with a black side-wall you can simply use double sided tape to apply these to the wall or a more permanent construction adhesive if you know you won't be moving them. These can be purchased on Etsy.com for $59.99. I first became hooked on Stoner Car Care products through the use of their Invisible Glass cleaner. I originally started using it on the windshield of our boat, but after seeing how great it worked I quickly bought a can for the garage to use on our Porsches. What I didn't know then, but later found out, was that Stoner made all these other great products, too. We keep a can of "Tarminator" in each car to quickly get rid of bugs, sap and other nasty road residue before it has a chance to ruin the paint (be sure to follow the directions) and the "Xenit Natural Citrus Cleaner & Remover" is the same product our clear bra installer recommended we use to keep its appearance in tip-top shape. The best part about buying the kit vs. buying each piece individually is the cost savings. You get huge value for the money and a number of extra products you're bound to find uses for. The kit is available on Amazon.com for $68.95. When Amazon Echo was first introduced we were a bit intrigued but hesitant. You see, we like to give new tech a bit of time to get the bugs out before jumping in. As it is, we enjoy home automation and I have a number of devices (various wi-fi cameras, Phillips Hue lighting, remote garage door openers, all things we've recommended on past versions of this post) that help us enjoy our home and our Porsches more. Now that Echo is a bit more seasoned I've decided to pull the trigger on getting one to remotely control all the various devices we've cobbled together. If things go as planned I'll be able to control my cameras (that watch our Porsches), my lighting (that lights the garage) and the garage door itself (all through the use of the Amazon Echo). 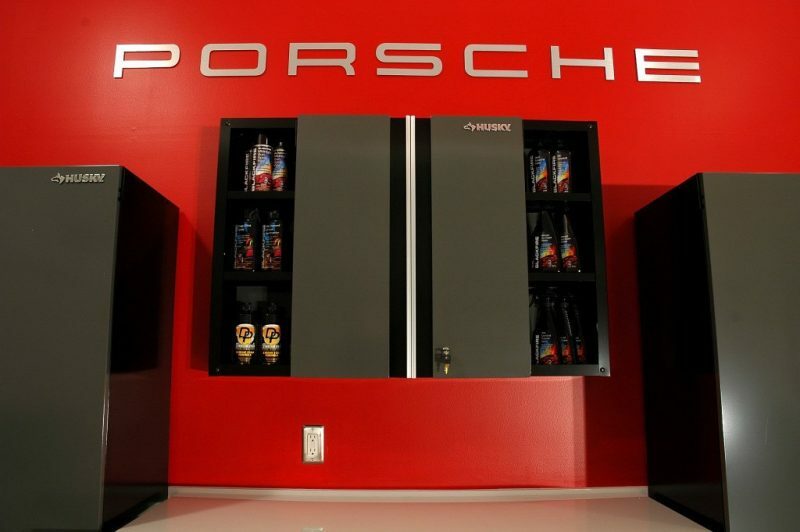 With that in mind, and the fact that it seems many of us Porsche owners are like minded, I think Echo makes a great gift for the Porsche enthusiast on your list. It's available on Amazon.com for $179.99. We first introduced you to SONIC Tools when we learned of their involvement as the official tools supplier to IMSA, CORE Autosport and CJ Wilson Racing. Then, last spring, they reached out to us and asked us to look through their catalog and see if we could think of anything that a Porsche DIYer might benefit from. Boy did we have an idea! If you've ever worked on your own Porsche you know that variations of the 10mm socket are some of the most used wrenches from your toolbox. Wouldn't it be great if someone put together a complete kit of 10mm sockets? SONIC took our advice, put together a customized rail and we tested it as part of Project Boxster Clubsport. Now, for the holiday season, SONIC is offering FLATSIXES.com readers a 25% discount on the rail. Normally priced at $100.00 you can get it for just $75 using the discount code "Custom25" when you checkout. If this is of interest to you, don't wait as the code is only good until December 12, 2016. Chances are if you own a Porsche, you take pictures of it. Isn't it time you started taking video, too? Last year we suggested you get yourself a dash-cam as liability protection. This year we think it's time you get something that's more leisure related. The GoPro HERO Sessions has an entry-level price but offers some fairly high-end features at a great price. If you want to take a shot at becoming the next automotive YouTube star, or just want to document your own drives, you can't go wrong with a GoPro camera. We've been using one for years to record our drives and we're yet to grow tired of it. 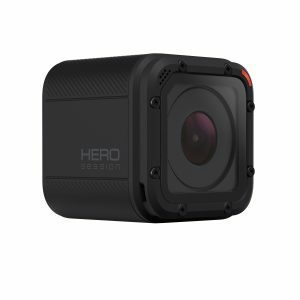 The GoPro HERO Sessions starts at $174.99 on Amazon.com. 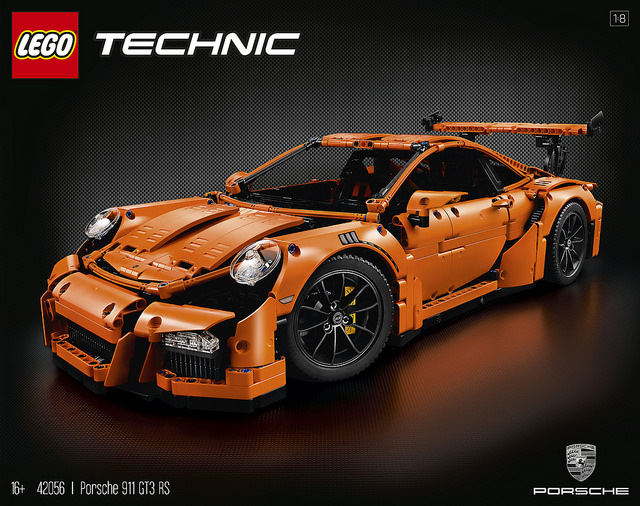 The LEGO TECHNIC Porsche 911 GT3 RS launched in the U.S. earlier this year. It was a hit from the start! Unfortunately, that meant sets were hard to come by and unless you pre-ordered, you had to pay a premium if you couldn't delay your gratification. Fortunately, some of that initial excitement has worn off, but the set is no less desirable. This isn't your little kid's LEGO set, after-all! Complete with 2,704 pieces, a working PDK transmission, forward and reverse gearing, special Technic wheels and tires this is bound to provide hours and hours of entertainment. Sets are available now on Amazon.com for $299.95. According to the seller, these coasters are silk screen printed on natural cork by hand. They have a very colorful custom look and show four different classic Porsche 911 designs from several decades. Interestingly, the pictures in the reviews are better than the seller's, so be sure to look through those if you're unsure. At just $12.99, including free shipping, these would make great stocking stuffers and are easily the most affordable items on our list. We want our list to have a little something for everyone and we know that the 911 Soundbar fits into a bigger budget spot. In fact, if you haven't done so yet, take a minute to checkout our review of the Porsche Design 911 Soundbar and you'll learn why we think it's worth the price of admission. Built from the actual components used in a GT3 the 911 Soundbar takes the normal function of a GT3 muffler and turns it upside down to resonate sound vs. constrain and control it. Delivering deep bass and a measurably louder audio experience, the 911 Soundbar pushes out your favorite track at 200 watts with no distortion. We thought it was amazing and if you're a Porsche fan and it's in your budget range, it will make an unforgettable gift. Available exclusively from Porsche Design for $3500. Every year we take a look at the Porsche books our readers are buying. Here's a list of the Top 10 Porsche Books purchased by readers of FLATSIXES.com so far this year. Would like to consider sharing on our Metro PCA website, http://metronypca.org/ thank you. Is this for print or digital? Either is fine, just let us know if digital as we have instructions we can send you. If for print, please just be sure to credit FLATSIXES.com as the source. Thanks for asking!